St. Petersburg artist jesse Vance checks his equipment before performing at a Boyd Hill Night Hike. 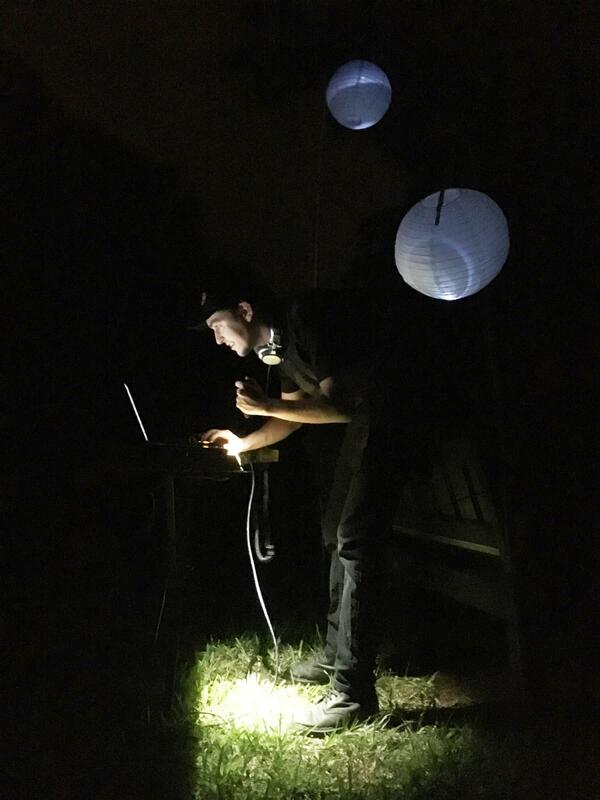 This musical night hike through Boyd Hill was a fundraiser. Visitors at the first station looked like a crowd of silhouettes, sitting, standing, and some swaying as they watched a man strum an odd-looking instrument--barely illuminated by two round paper lanterns. The musician is Brian Ransom. He said he makes his own instruments out of ceramic. He began his soundscape this night by playing on his harp. 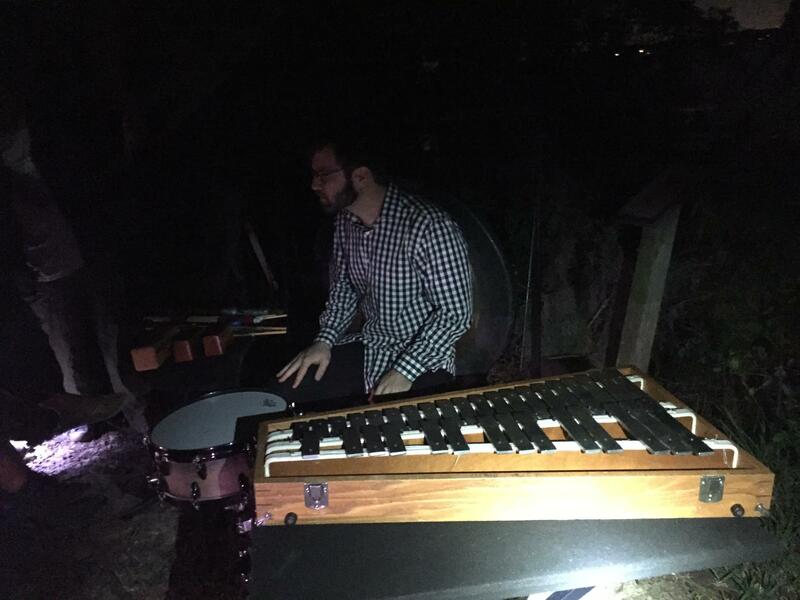 Flashlights clicked on after Ransom's performance ends, and the group walks to the next performance space to Tampa percussionist Sean Hamilton, who uses a gong, wind chimes and a snare drum. His music often disappeared into the sounds of the wind. At one point, the gong crescendoed and the reverberation almost meshed seamlessly with the sound of a passing airplane. Sean Hamilton gets ready to play his percussive instruments. Jesse Vance curated the show. "Each person that I've chosen to perform here tonight--they're good listeners more than they are good listeners," he said. "It's more of reacting to the sounds. I could hear some people almost sighing when the big plane came through, but I thought 'It's part of it. It's great'." Vance is an electronic artist who performs under the name DC9V. He uses a keyboard, laptop, a soundpad and what looks like a 1990s boom box. He got the idea for this night hike a few years ago when he participated in a similar event at the Kanapaha Botanical Gardens in Gainesville. The last performer in the lineup is a performer who uses the name 'Stoic.' He uses a soundpad to create what sounds like an electronic version of swelling wind over groovy drumbeats. Lynn Bowman watched all of the performing musicians. She enjoys hiking and nature, but wouldn't consider herself a fan of experimental electronic music. "It's just interesting," she said. "And I appreciate the artists that take on all of it." Back towards the park's visitor's center, where the hike, began. Ransom is waiting. This time, he played on his homemade ceramic flute. Andrea Anderson, a ranger at Boyd Hill, helped Vance organize the night hike. She's done similar events before. There have been hikes where participants did journaling or wrote poetry. Anderson said the arts and Boyd Hill work well together. "When we're trying to communicate science to the public, using the humanities is such a string way of doing that," she said. "Linking it to music and words and other art forms." The musical night generated about $620. The money will go towards other events and children's programs. There are plans to make the enchanting musical night hike a biannual event. Until then, you can hike in Boyd Hill, listening to nature's own interpretation of the environment. Plenty of kids play in dirt and collect bugs. Maybe you used to bring home bugs in a jar. Maybe you still do. Deby Cassill does. 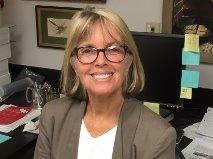 But, she’s the Associate Professor of biology at the University of South Florida St. Petersburg. So, she spends her days getting a microscopic look at something many of us consider a pest and even something to step on. She says there was a time when it was considered strange for her to play with bugs. Okay, we know it's officially fall now. 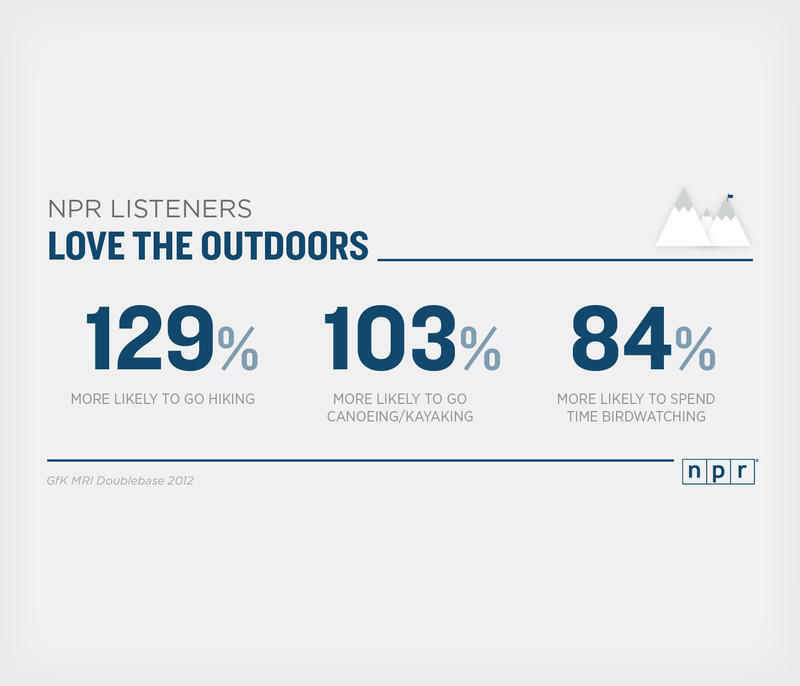 So it's a fine time for all you outdoors-loving NPR listeners (and to be fair, NPR-loving outdoors types) to get out there and enjoy the fresh air. We think Terry Gross would agree.